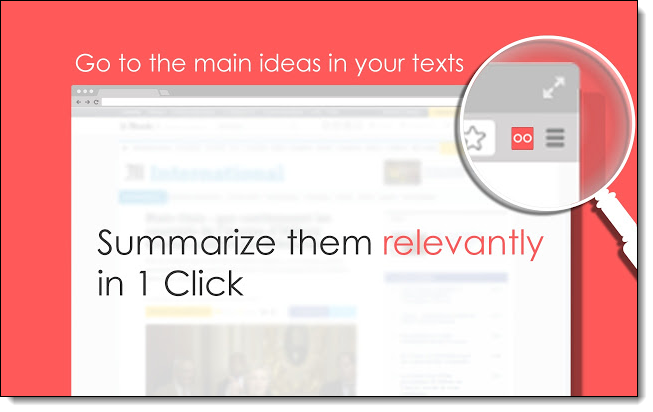 Some of the tools fit into more than one topic, but each is only listed once. 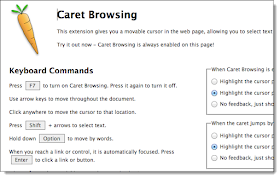 Certainly this list does not cover all of the useful web extensions available for struggling learners, but it is a great place to begin. 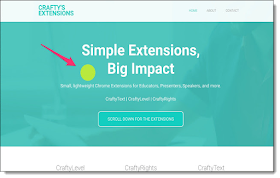 In addition to the list of extension, I have also linked in the video and help guide from a webinar I did a while back on "Google Tools for Special Needs". 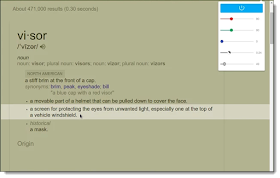 The "Swiss Army Knife" of extensions with tools including word prediction, dictionary, picture dictionary, text to speech, screenshot reader, speech maker, screen mask, translator, highlighters, voice note, and more. 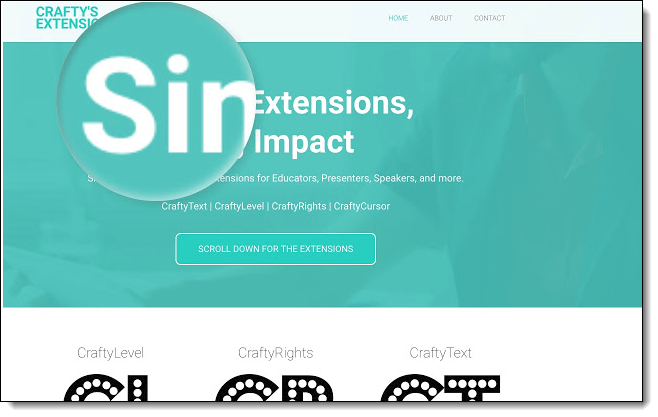 Works on webpages, PDFs, Google Docs, and Google Slides. 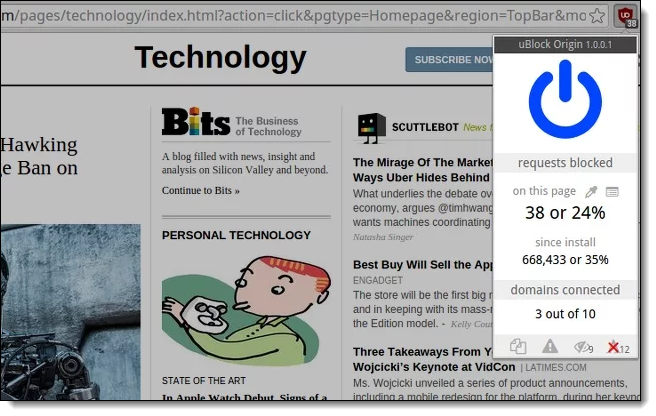 This text-to-speech extension will read either the entire page or just the text that you have selected. In addition to the normal options to adjust the speed, pitch, and volume of the voice, the best feature is the wide collection of high-quality voices to choose from. 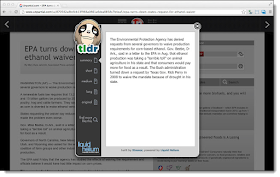 This is another good text-to-speech extension with high-quality voices. 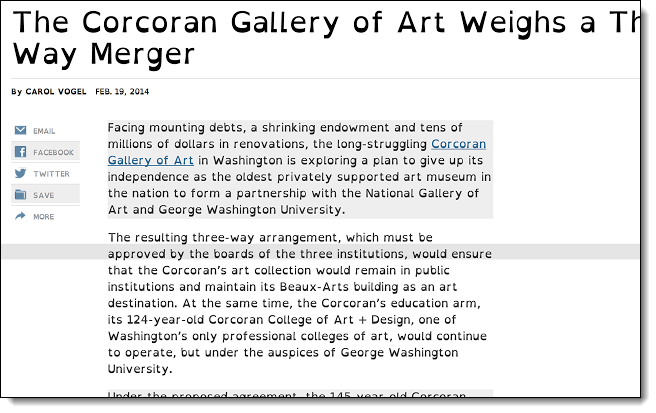 The only drawbacks are that you have to select the text you want read (rather than the entire page), and sometimes there can be odd pauses in the middle of a sentence. This is another text to speech tool that not only reads a webpage, but also removes distracting elements from the site. 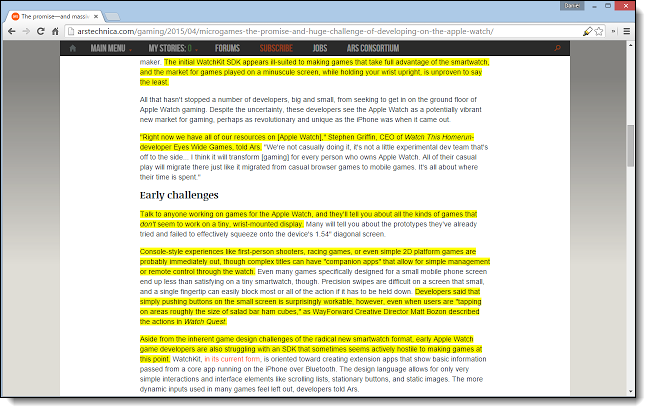 The only drawback is the inability to select specific text to read, as the entire page is read aloud. 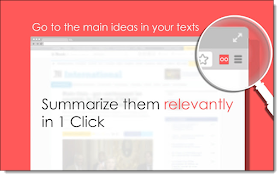 This speech-to-text extension allows the user to dictate text for any text box or text entry portion of a web page. 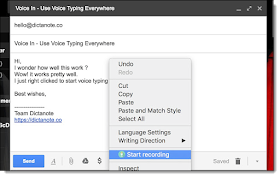 You can either click the extension or right-click and choose "Start recording" to use it. 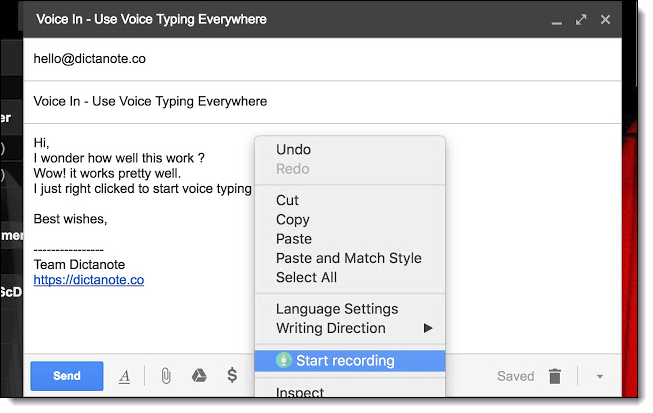 Be sure to click the extension again to turn off the speech-to-text function when done. 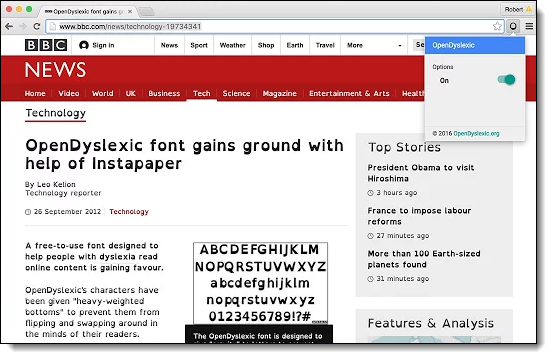 Override all fonts on a webpage with the OpenDyslexic font, making the text more easily readable. 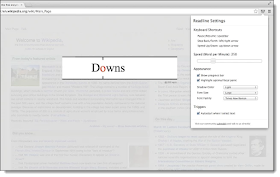 This extension replaces the fonts on a web page with either OpenDyslexic or Comic Sans, and provides a horizontal shaded bar to help the user stay on the correct line when reading. 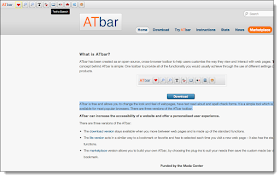 The only drawback is there is no easy way to toggle it on and off, so you will want to use an extension management tool to let you turn it off when not in use. 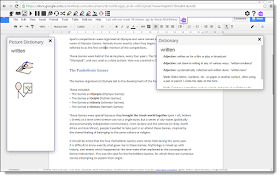 Toolbar with features including color overlays for webpages, dictionary, text to speech, word prediction, and more. 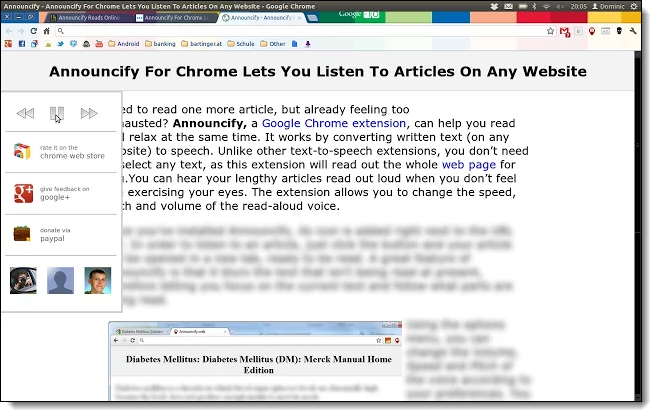 Turn web pages into a flippable e-book with easy clickable or keyboard control, as well as control over font size and page color as well. Although originally designed as a speed reading tool, you can slow the WPM rate down so students can use this to focus on one word at a time when reading to not lose their place. This screen overlay tool darkens out the page except for a horizontal band you can move up and down as you read, helping the student focus. 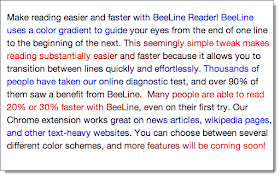 This tool can make webpages easier to read by changing the colors to increase contrast, invert the colors, or switch to gray-scale. 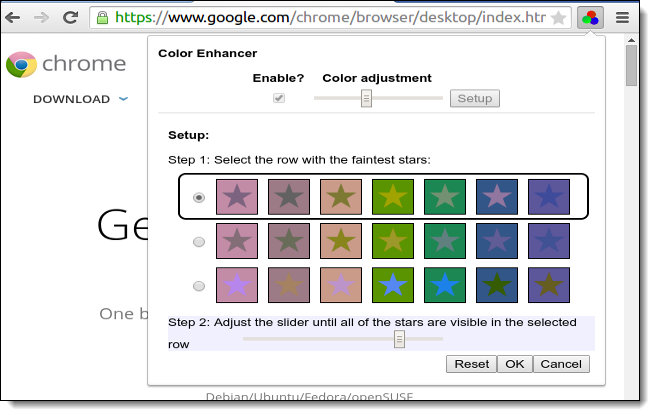 For people who are partially color-blind, this tool can help adjust and improve webpage colors. 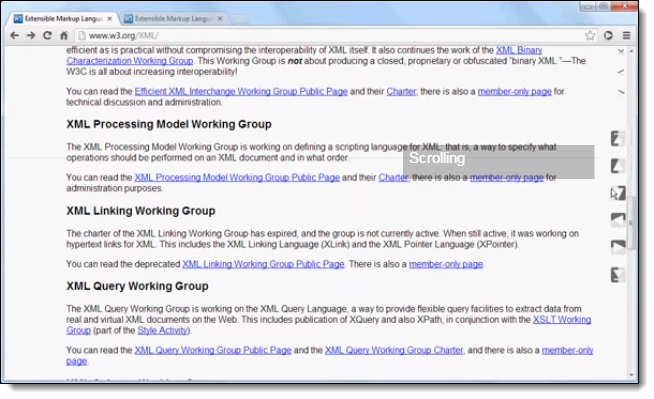 This extension give you a floating magnifying glass that you can move around the screen to make portions of the page larger. You can adjust the size of the circle and the level of the zoom. Don't get stuck on an unknown word. 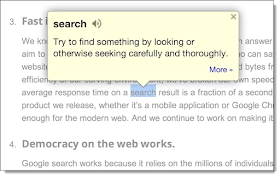 Double-click on any word to get a pop-up definition, as well as spoken pronunciation for many words. 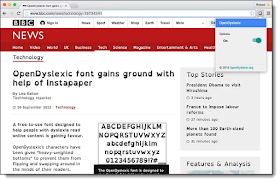 While not technically an extension, this tool functions very much like one and is launched from your Chrome bookmarks bar. 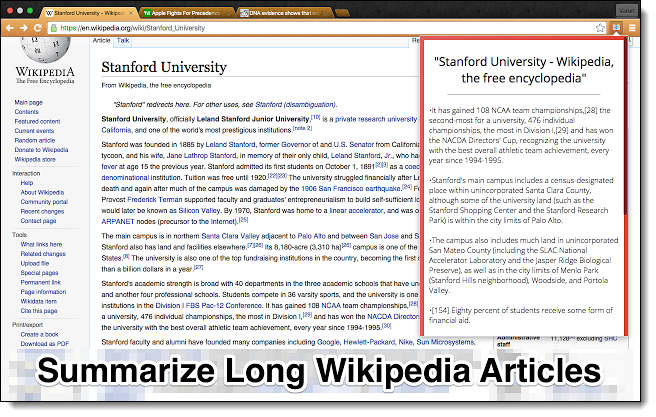 Summarize any online article with a simple click of the SMMRY bookmark link. 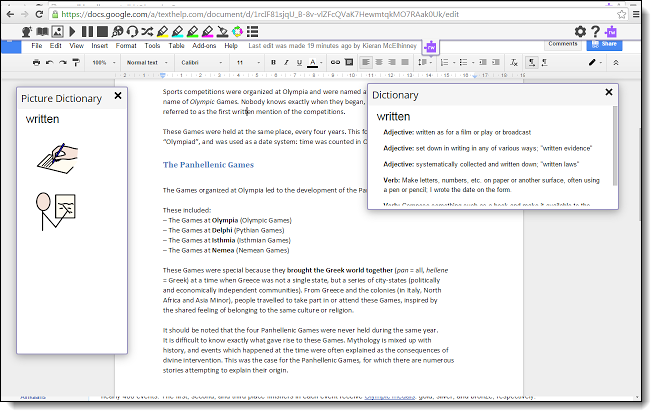 This will generate a simplified version with fewer sentences (7 by default) and just the most important information. 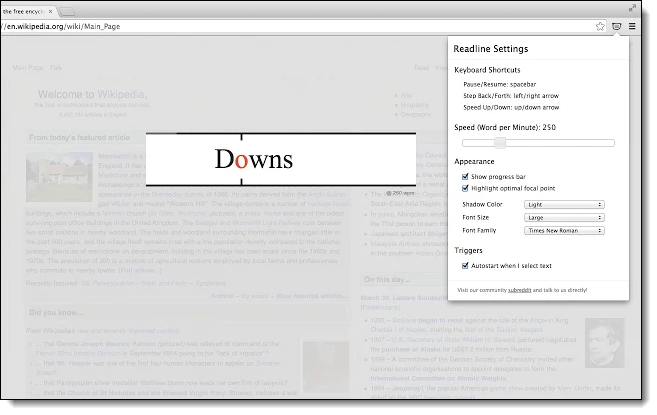 Settings can be adjusted for longer or shorter summaries, as well as emphasis on certain desired words.. 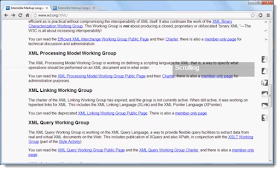 This extension will generate a summary of any web page you are on. 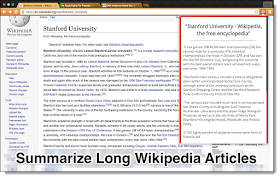 There are three levels of summarization - short, medium, and long, in addition to the original full version of the page. 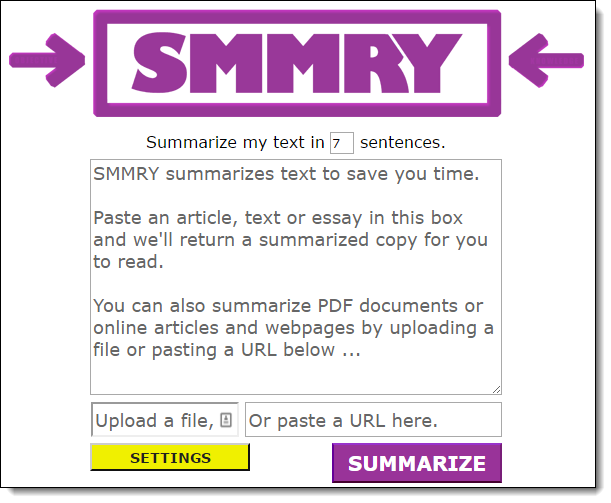 This is another summarization tool for web pages. 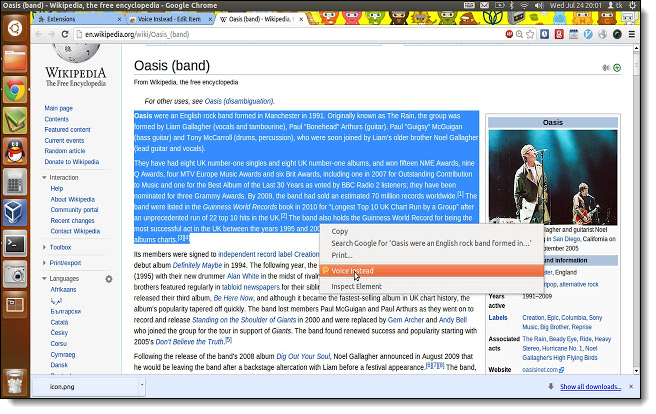 It opens up a new tab with a cleaned up version of the page, as well as three levels of summary. 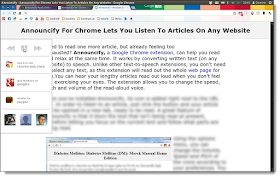 This article summary tool gives you a pop-up window with a short bullet list of the main sentences from the page. 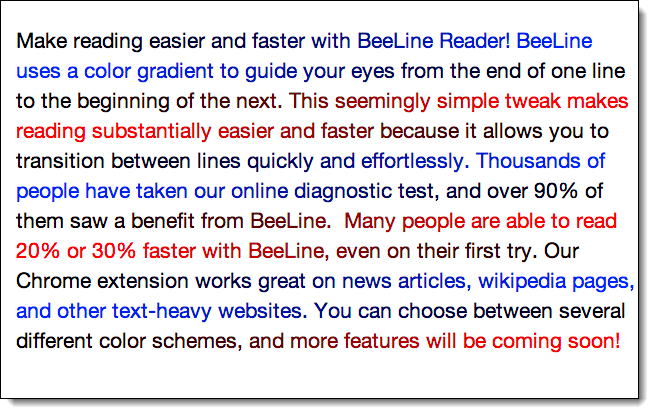 This extension takes a different approach to summarizing. Instead of removing the non-essential portions of the text, it highlights what is most important. 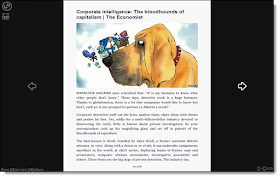 This allows the reader to still look at the rest of the article if needed. 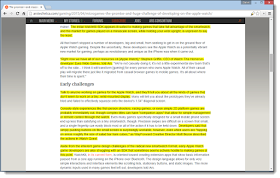 Three levels of highlighting can be chosen. 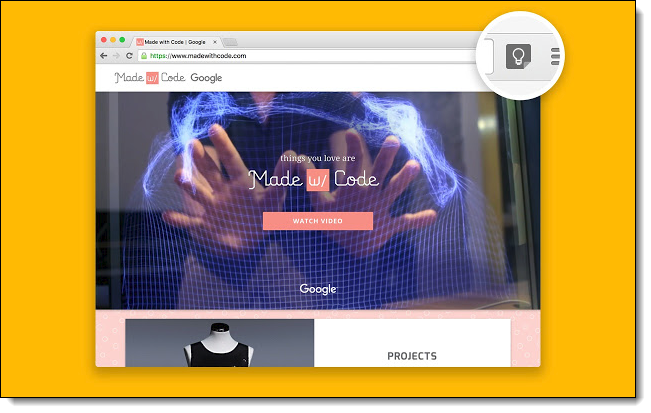 This tool helps students to stay focused on their work by blocking distracting websites. 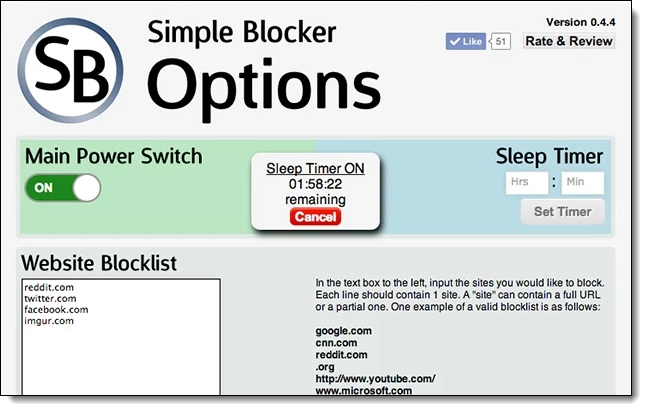 The user can choose the sites to block, how long to block them, and optional password protection. A simple but powerful ad-blocking extension to help remove distracting ads from websites, making pages less cluttered and easier to read. For students who need a break, this extension can be set to periodically have them stop working and do something physical for a moment. Keep allows users to save and retrieve any information they come across including text, links, pictures, speech, handwriting, doodles, and more. 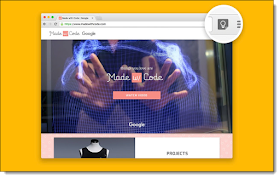 The tool works as an extension, web site, Android app, and iOS app, and integrates into Google Docs, Slides, and Drawings. 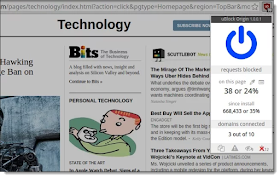 This extension makes it easier for the user to find and track the mouse cursor by putting a highlighted circle around it. 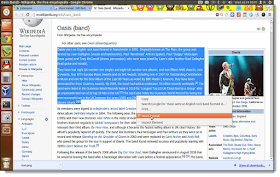 The user can choose between several colors for the cursor spotlight. 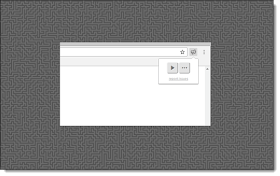 For users who have a difficulty clicking a mouse, this extension adds on-screen navigation buttons the user can simply hover over to use. 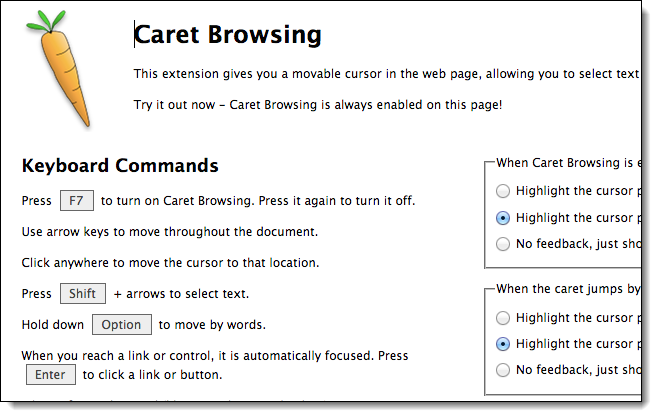 Provides keyboard shortcuts for navigation and control for someone with difficulty using a mouse. 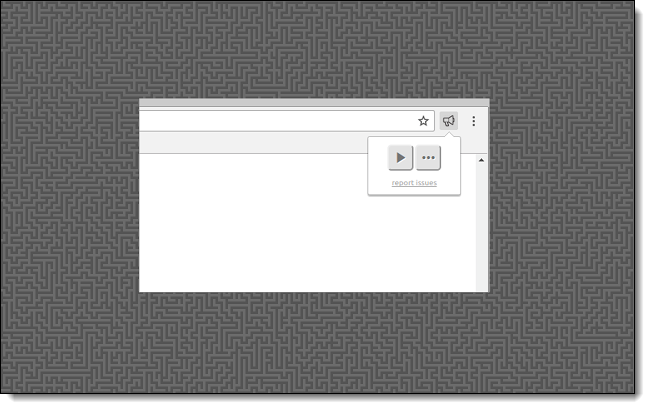 Use mouse gestures to navigate including forward, backward, scrolling, refreshing, switching tabs, and more. 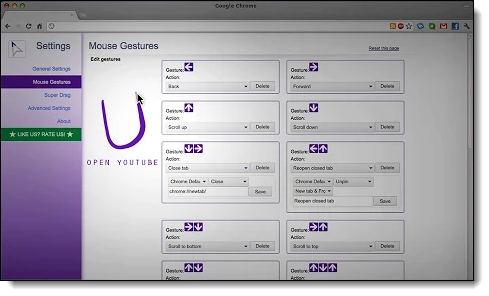 The user can even program their own custom mouse gestures to open programs and perform other tasks. 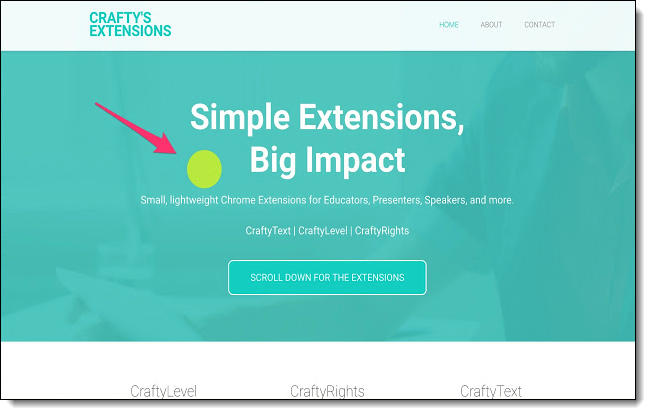 This extension gives you a movable cursor in any web page, allowing you to move through the text with your arrows keys and select text with the keyboard. 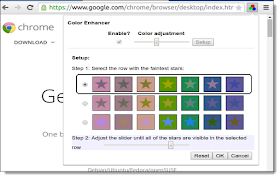 What other Chrome web extensions have you found that can assist students with special needs and struggling learners? Share your suggestions in the comments below. Unfortunately, Readability closed last month. I miss it every time I hit the backtick (`) key. Ryan, Readability only shut down their bookmarking service, not the page clean up feature, which I am featuring in the post. 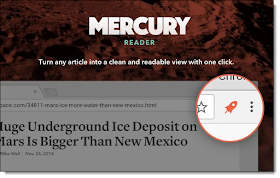 Here's their statement "First, the Readability Reader API, which saves bookmark information for reading later, and which almost no one uses, will be shut down at the end of September. 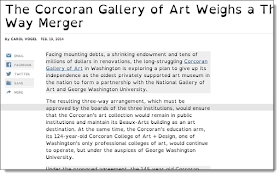 Second, the vastly more popular Readability Parser API, which extracts article content from web pages, will continue to run and will improve." Fabulous list. Thank you for sharing! I'm going to share with our Tech.Teacher and our Special Ed.Teachers!! Great list. Can't wait to implement some of these extensions. Thank you so much for compiling and sharing. I signed up for the teacher's free year, but how do I get it for my students? Last year we used the 30 day sampler, and the kids loved it! A perfect tool for those people who have some disabilities that they can still do some tasks that normal human being can also do. From this, they will still be productive into their work or into their studies. I am desperately looking for an app for math. I want something where the student can use the Chromebook as math paper but do NOT want the app to do the computation. This would be for students with writing and motor impairments. 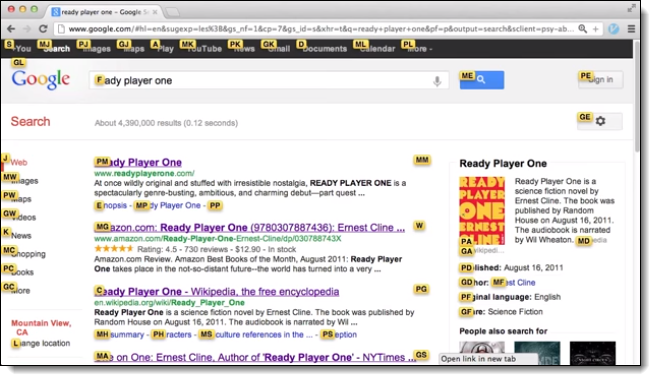 I have seen older programs that I can no longer get or apps for apple products but can't seem to find one for Chrome! Help please! Thanks. Has anyone found a summariser as good as TLDR. 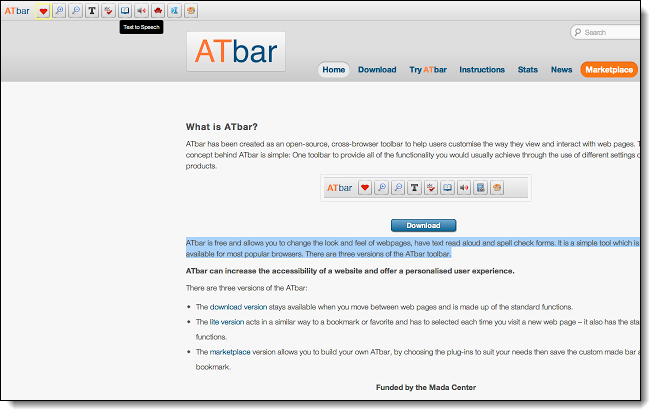 My students constantly used it but since shutting down the best I've found is Summarizer. Hoping the recommended SentiSum is as good. Hi Janelle, TLDR just started working again. I just checked it today and it looks like it received an update. Your technology is spot on; your language needs an upgrade. 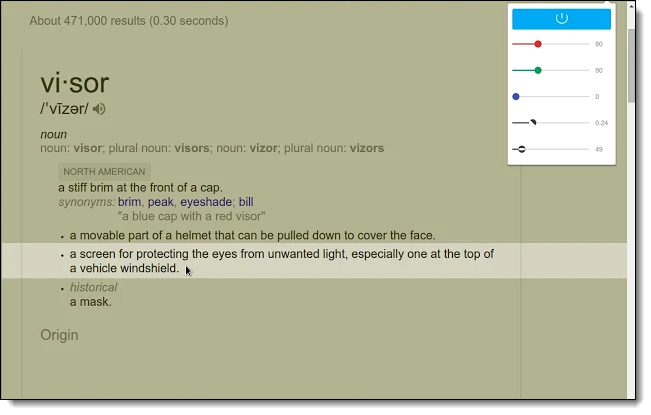 "Google tools for Accessibility." 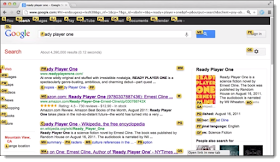 "21 Chrome Extensions so Every Student Can Master Their Trade." 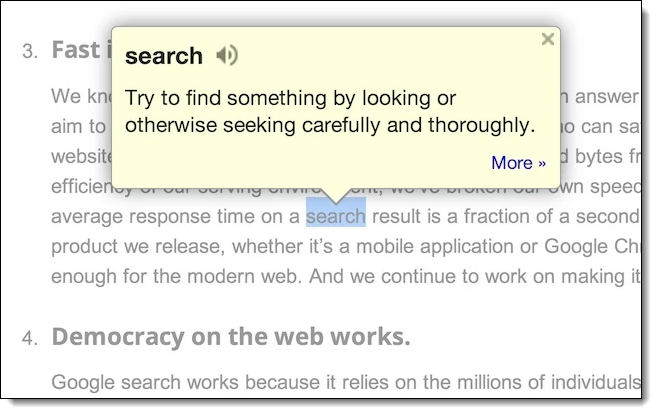 That's ok, Google, WGL&L will work with you on this. Thank you for sharing! I'm willing to try anything to help my students! Your post really grabbed my attention and interest for the reason that the content is not just informative but also simple yet meaningful. One of the new alternatives is the capacity to hand-grade augmented reaction questions. This is exceptionally useful as it permits teachers to construct appraisals with larger amount addresses that move past multiple choice questions. Also add Grammarly extension in this list. I loved color enhancer which I had not tried earlier. 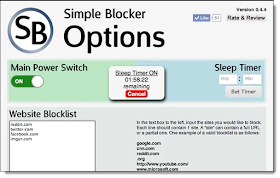 Have you ever tried Zenmate google chrome extension that helps to access those websites which are blocked in country or your system. I usually use it to secure my internet browsing. Thank you for sharing. This is a great list. I am looking for a program (preferably free) that will automatically caption a screen cast video. 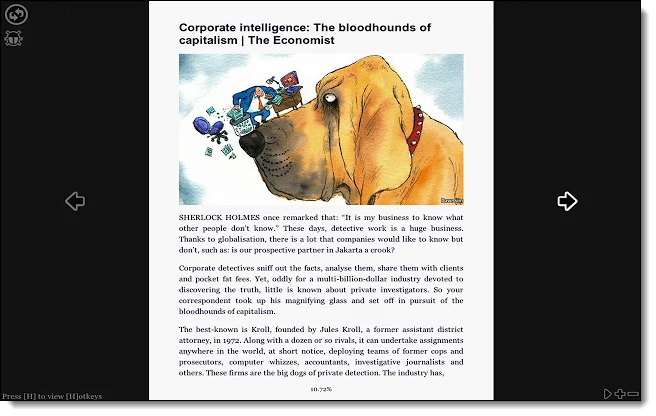 I teach online and make Jings all the time to go over a textbook page or to explain some other visual element. Hearing my voice, I feel, helps to further engage my online students. To be ADA compliant, however, I need a transcript or closed caption option on that screen cast. Creating these captions for every screen cast I have seems overwhelming, though I am happy to comply. Does anyone know of such a tool to help me out? Has anyone seen an extension that breaks down phone numbers to make them more readable? Wow, great list! I feel ashamed because I've only heard about three of these extensions and some of these could definitely save my life (okay, too dramatic, my time?) many times. I also have a friend who will definitely benefit from OpenDyslexic. Thank you for sharing your experience and knowledge and have a nice day! 2-Why is a wheelchair used? A wheelchair is not the symbol for access for all people with disabilities such as dyslexia. It is the symbol for access for people who use wheelchairs. If Google's goal is to be inclusive which it appears, then why is its symbol not inclusive? Again, it is wonderful that Google is being inclusive but it is critical that antiquated language and inclusive symbols are also used.